2015 BMA Medical Book Awards Highly Commended in Surgical Specialties Category! 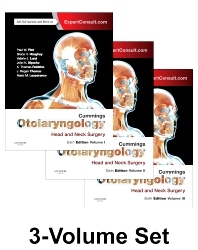 Overcome virtually any clinical challenge with detailed, expert coverage of every area of head and neck surgery, authored by hundreds of leading luminaries in the field. Experience clinical scenarios with vivid clarity through a heavily illustrated, full-color format which includes approximately 3,200 images and over 40 high quality procedural videos. Get truly diverse perspectives and worldwide best practices from a multi-disciplinary team of contributors and editors comprised of the world’s leading experts.